Kris Klinzing has never been known for ‘going with the flow’. 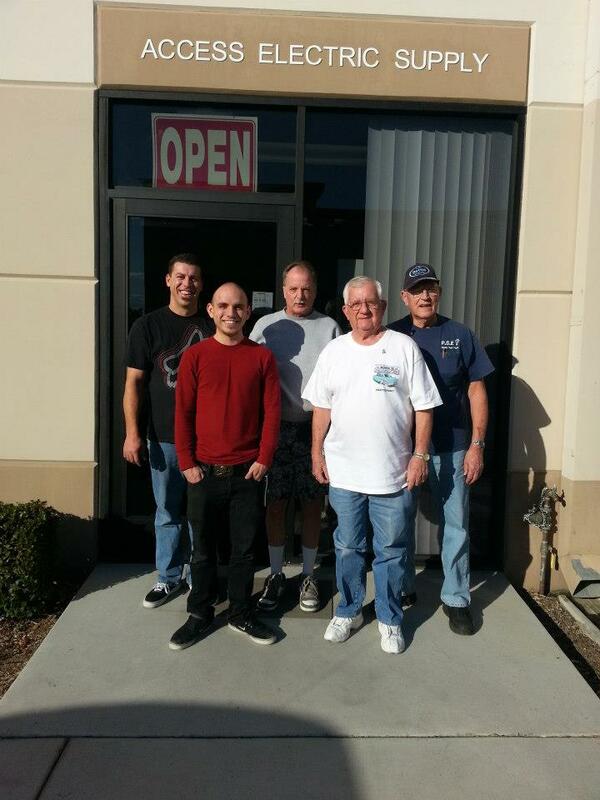 Along with his Dad, ‘Speed’, they are very proud to announce the opening of their new store, Access Electric Supply, Inc. located in Moreno Valley. They are a full-line wholesale distributor targeting electrical customers in Riverside and San Bernardino Counties. Access Electric Supply, Inc is located at: 7139 Old 215 Frontage Road, Moreno Valley, CA 92553. Kris and Speed welcome all of their customers and vendors to stop by and visit them at their new location. Look for their sign on the east side of the 215 Freeway, one mile south of the 60 / 215 interchange. Their ‘Will Call’ hours are Monday through Friday from 7:00AM to 4:30PM.